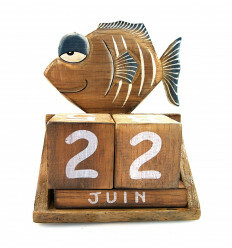 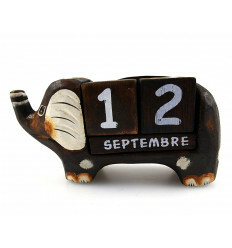 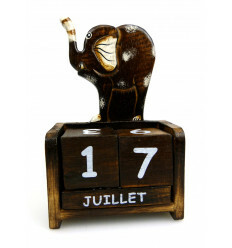 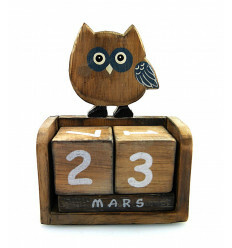 It is a perpetual calendar : turn the cubes as the days and months, and display the date in an original way ! 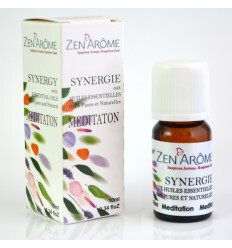 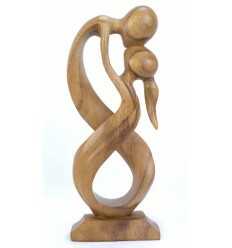 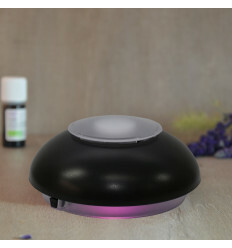 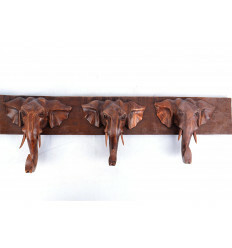 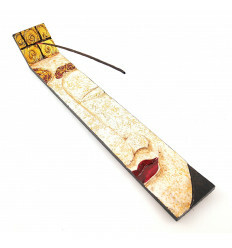 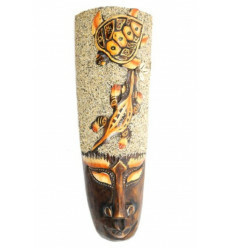 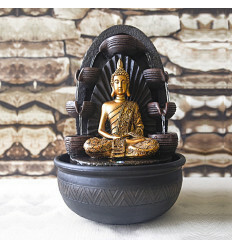 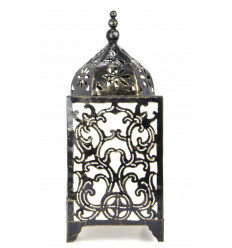 It has 2 hooks at the back and can be hung on the wall or placed directly on a desk for example. 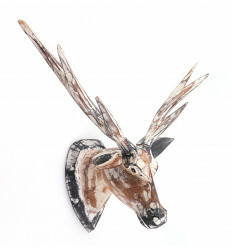 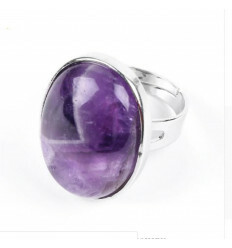 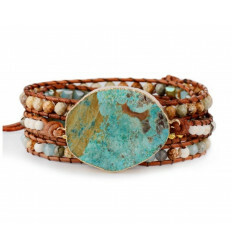 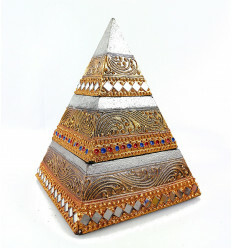 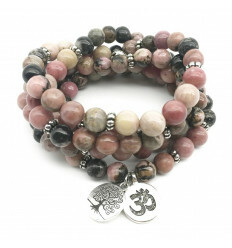 A beautiful artifact, the result of a trade fair and respectful of nature ! 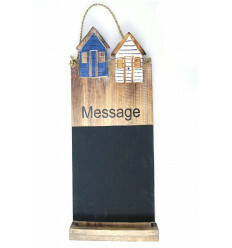 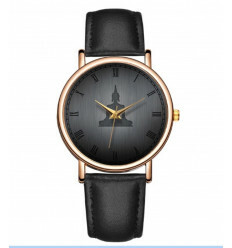 Perfect gift idea for the master or mistress of a school for your children. 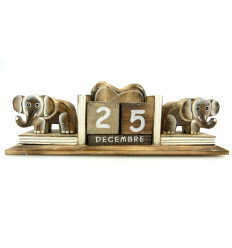 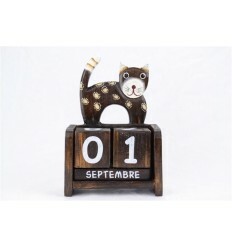 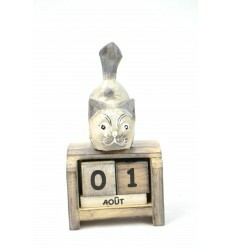 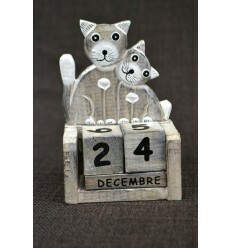 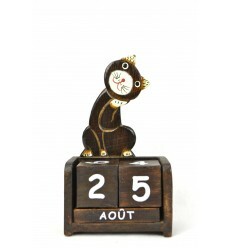 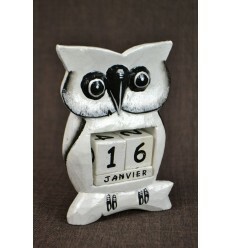 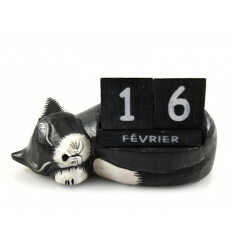 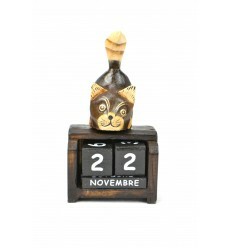 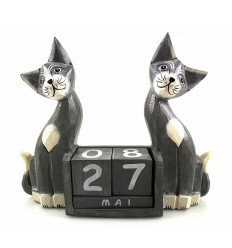 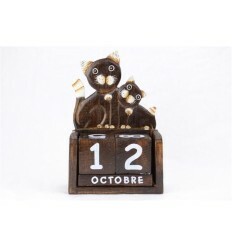 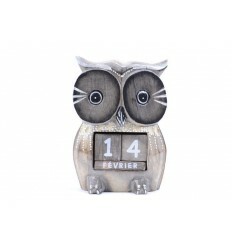 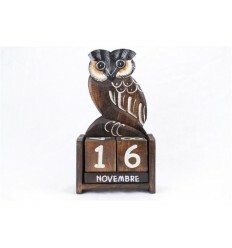 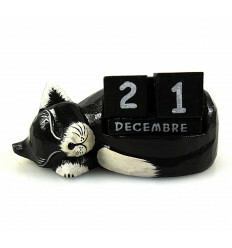 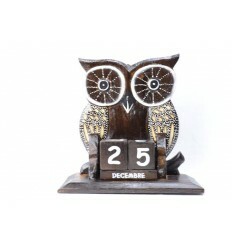 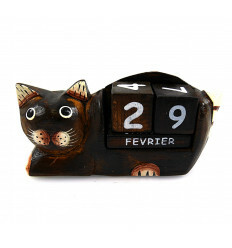 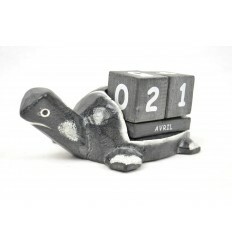 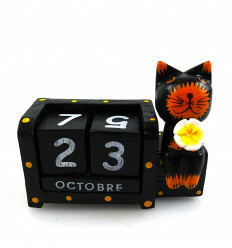 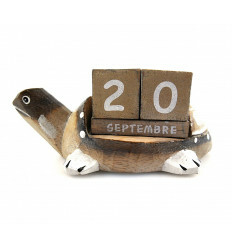 Click here to see our other models of perpetual calendars : like the cat, the turtle and the owl. 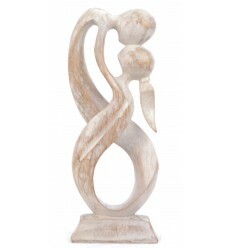 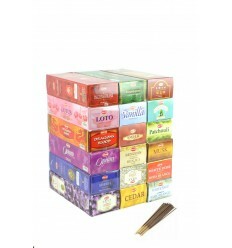 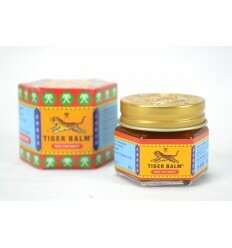 In Coconut-Papaya, low prices and shipping costs reduced throughout the year.